The Federal Government on Saturday announced a naira rain for the victorious Paralympics athletes and female Under 20 footballers, Falconets. President Goodluck Jonathan announced the cash gifts at reception organised in their honour at the Presidential Villa, Abuja. 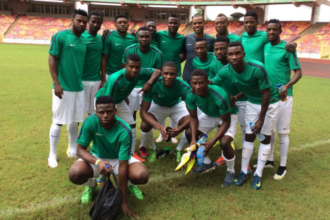 Each Falconet will get N1m, while their coaches and handlers will receive N1.2m each. For the paralympians, Jonathan said those who won Gold medals would go home with N5m each; Silver medalists would collect N3m each, while those who won Bronze would collect N2m each. The President said each member of the team that did not register their names on the medal table would receive N500,000 each. as the athletes competed to bring honour to the nation. “You have done well and we are indeed grateful,” the President. While commending sports officials, Jonathan urged them not to rest on their laurels. He recalled the various feats achieved by Nigeria’s teams in past sporting events, but noted that the abysmal performance at the last Olympics was a huge disappointment. He said the situation must not be allowed to happen again. 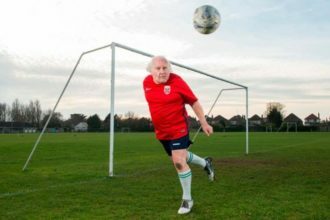 “We must restore the glorious days of our sports,” he said. The President promised that each state of the federation would start taking sports seriously and learn to prepare for major competitions early enough. The Minister of Sports, Mallam Bolaji Abdullahi, said the event was the first of its kind at that level to honour athletes who brought glory to the country. He said although the Falconets did not win any medal, they won the hearts of many. The minister said they also fulfilled the purpose of the age grade, which was to discover talents. Abdullahi said the greatest honour that could be done to the athletes was to immediately start preparation for the 2016 Olympics in Brazil. He identified indiscipline and non-commitment as factors that contributed to the failure of the Team Nigeria to Olympics. “The level of commitment and discipline demonstrated by the Paralympians made the difference,” he said. 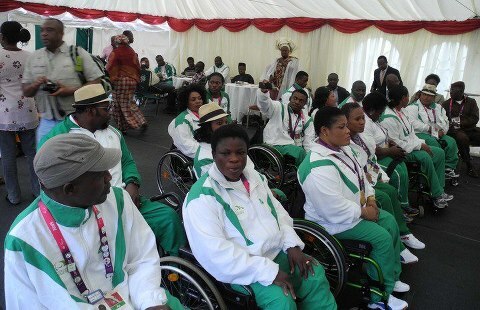 Chairman of the Nigerian Governors’ Forum, Mr. Rotimi Amaechi, said the athletes had made the nation proud. Amaechi expressed the belief that Nigeria would perform better during next Olympics, warning that Nigerians should not be too hard on Team Nigeria. Director-General, National Sports Commission, Dr. Patrick Ekeji, in his opening remarks described the event as momentous, unique and historic.